EnergyGel is smooth with a light consistency and a dash of real juice for a great taste. It is not thick or overly sweet. Easy to open and swallow, each sachet contains 23g of carbohydrate. EnergyGel is award winning and proven in many of the World’s toughest competitions. Use during Strenuous & Sustained Effort. Consume in conjunction with exercise and a nutritious diet. Not a sole source of nutrition. Consume as directed to avoid gastro-intestinal upset and with an appropriate fluid intake. Formulated supplementary sports food. Not suitable for children under 16 years or pregnant women. 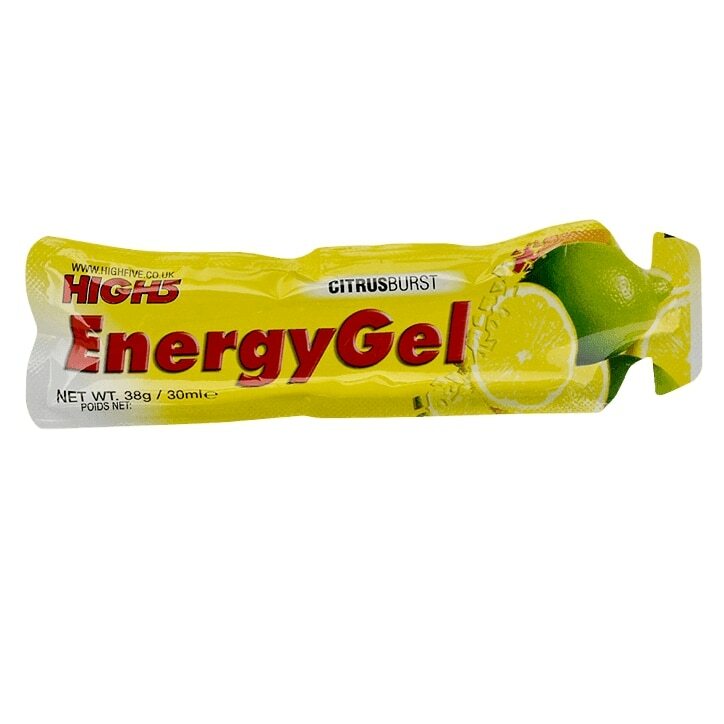 High5 Energy Gel Citrus is rated 4.0 out of 5 by 1. Rated 4 out of 5 by Ali4 from does what is says! I bought this recently as many products have reduced their sugar content, and sometimes I need a real boost. Although I don't really like the flavour, I'll get used to it. Maybe a sample of each flavour would be good. Anyway, it gave instant energy. Great product!